will always sing a siren song. extra tires onto your bicycle. one step and rock at a time. and renew some old promises. it will nudge in the right direction. and you may dance on the sand. of rain on the summer wind. gather up four corners of your heart. Shake tangled doubt from your hair. trust your voice to sing you home. Music moves us like no other. From early life you grew up listening. 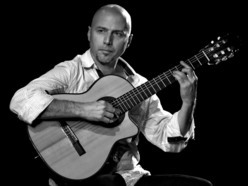 to finish a phrase of the tango. felt it important to show who I am. into my life, I just had to wait. you have to have lived. use of silence and space. It’s all those spaces you know. whatever comes out of my hands. that connects with my heart. has power to transform you. 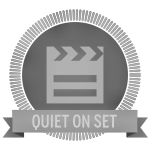 To earn the “Quiet on Set” badge, choose a television program, podcast, or movie of at least 30 minutes in length. Press play and start transcribing what you hear — no pressing pause, turning on subtitles or referencing a script allowed! You won’t be able to keep up, and that’s the point. When completed, create a poem out of your transcribed words. You can delete — but not reorder — your transcribed text. Post your poem to the site, and include a citation for your source media. – April 2015 – 213 poets joined together as a troop to earn digital merit badges for completing experimental and found poetry prompts. – Prompts are divided into five categories – remixing, erasure, out and about, conceptual and chance operation. – Each category offers six distinct badges to be earned. – Poets choose their own source text. – For more information, check out pomosco.com. A dear friend and fabulous poet, Von Thompson, is a participant. When she told me about the challenge, I decided to play along at home.